Colm O’Regan’s massive bestseller Isn’t It Well For Ye? 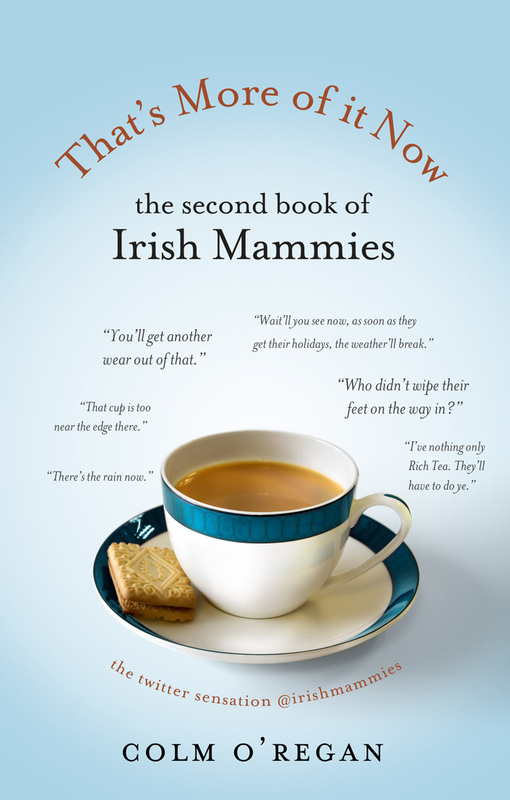 The Book of Irish Mammies brought the wonderful world of the Irish Mammy to homes across Ireland, where it took pride of place alongside the good scissors and the bit of string that might come in handy someday. And now, before you can say “Is it that time already?”, Irish Mammy is back with more words of wisdom. That’s More Of It Now: The Second Book of Irish Mammies takes us even deeper into this parallel universe, with advice on everything from how to tell Mammy she is about to become a Granny to how to discipline a child (aged 0–45), touching on Irish Mammies’ role in the worlds of sport, the workplace, technology, religion and culture. Enjoy popular fairy-tales retold with an Irish Mammy at the centre of them; marvel at exclusive, not-yet-released scenes from the epic Game of Scones; and find some essential apps for the Modern Mammy’s tablet. Probably the most important sequel since The Godfather Part II, or at least Fifty Shades Darker, That’s More Of It Now will find a place in everybody’s heart (and stocking). Just don’t leave it on a damp step.